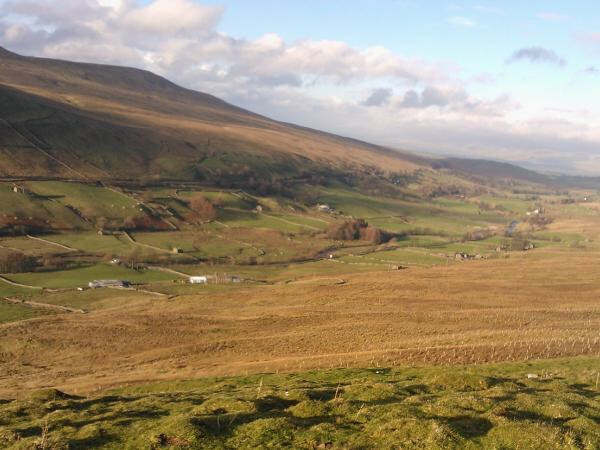 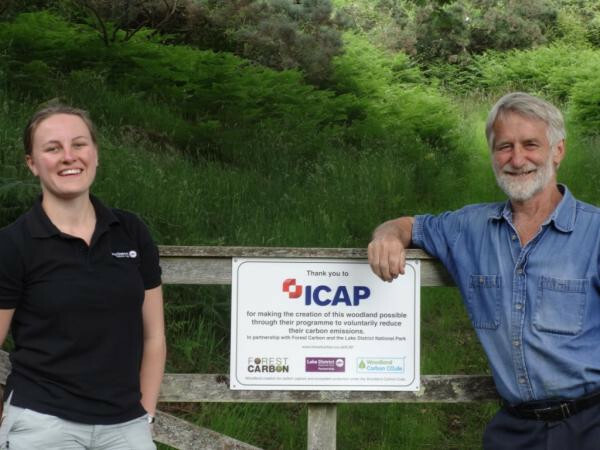 This is the first result of a partnership between Forest Carbon and the Lake District National Park Authority. 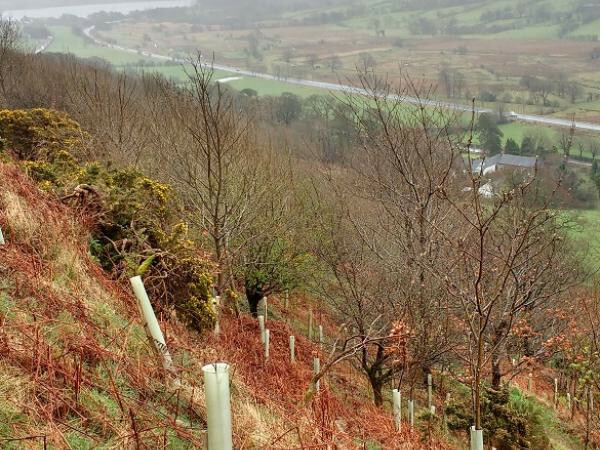 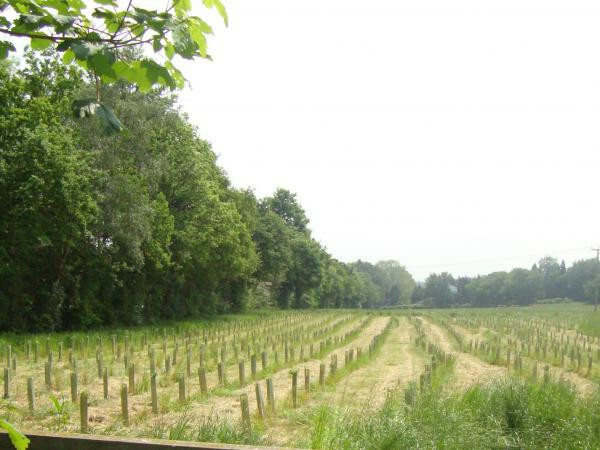 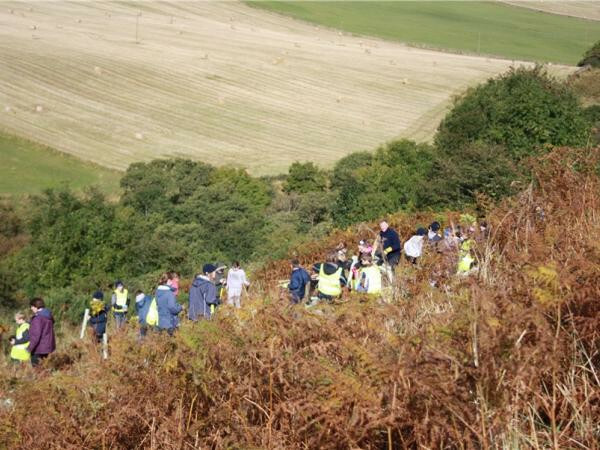 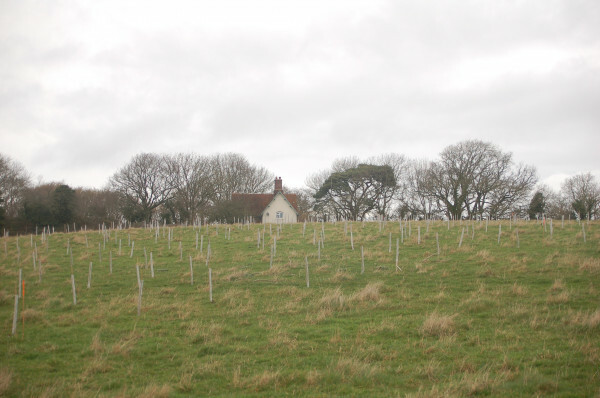 The objective is to create a mixed native woodland that will create connectivity with two existing ancient semi-natural woodlands in the valley. 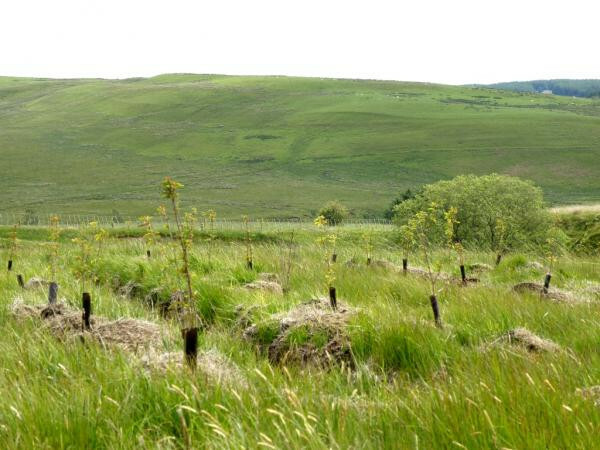 The combined sites include Birch, Oak, Scots pine, Larch, Holly, and Goat willow. 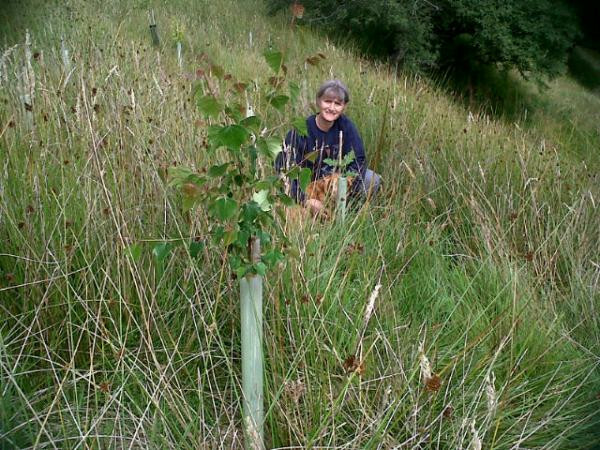 The ground flora includes bog moss, wavy hair grass, lemon-scented fern, foxglove and bryophytes. 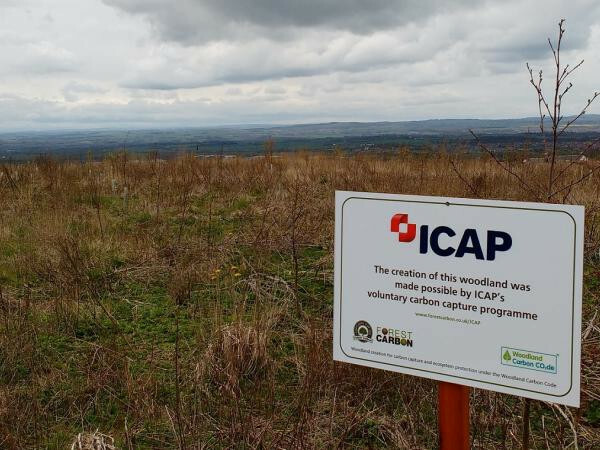 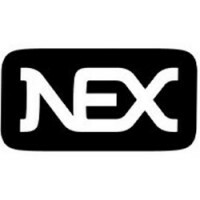 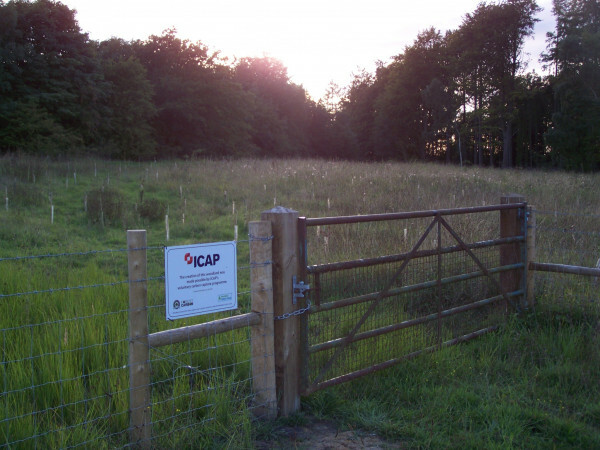 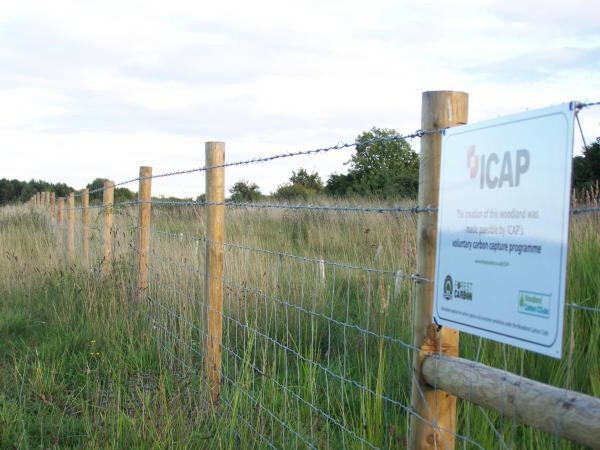 Funding was provided by ICAP plc (now NEX Group) in recognition of its 2013/14 carbon footprint. 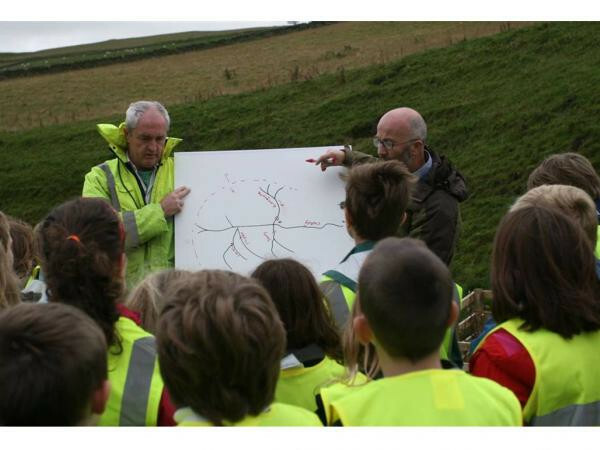 Photo right: Sam Hagon from Lake District National Park (left) , and Ian Hall of Fisherground.